The Seeing Eye has events throughout the year to raise funds and spread awareness about our mission, our graduates, and our dogs. If you would like to host a Seeing Eye event on your own, call the Donor & Public Relations Department at (973) 539-4425 or email info@seeingeye.org. You also are welcome to visit our campus during one of our regularly scheduled public tours. Here is a list of our upcoming events! 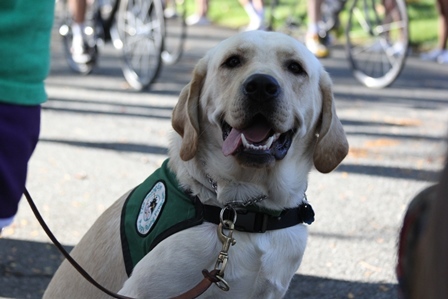 September 8, 2019 | Support The Seeing Eye by riding in the Gran Fondo NJ.